1.) Caramel Apples: They rot your teeth and stick to the roof of your mouth. Nothing says fall decadence like goo-covered apples on sticks. I haven’t made caramel apples in ages, so I decided to try my hand at making them earlier this week. They tasted yummy, even if most of the caramel ran off. I think I’ll need to purchase a candy thermometer before my next attempt. Still, I love caramel apples. They remind me of being a kid. Do you have a yummy fall snack that does that for you? Photo from bhg.com. See link above for more details. 4.) Tea: And to think, I almost made it through an entire post about fall without mentioning tea. No such luck, I’m afraid. Twinings Teas has a few good offerings for those chilly autumn nights. Though English Breakfast Tea will always hold a special place in my heart—it’s my Monday-morning pick-me-up slash coffee substitute—they’re now offering Citrus and Cinnamon Spice Tea that’s 100 percent organic and fair-trade certified. Sounds yummy; I’m adding it to my shopping cart! And no, I’m not being paid to advertise or endorse any of these products. I just thought I’d spread the word. Have any yummy new products or recipes for fall that you’d like to share? Previous postWhat I’ve learned from love: How to build a writing life—and a life, period. Caramel apples, cinnamon donuts and fresh apple cider — all from fun trips to cider mills when I lived in what I now affectionately call “the land of the frozen tundra.” Thanks for reminding me! Oh, I love apple cider, especially when it’s hot and has a cinnamon stick in it. I bet it goes really well with cinnamon donuts. I didn’t grow up in what could be called a “frozen tundra,” but it did get mighty cold in my native western Pennsylvania. I don’t miss the cold, but I do miss the pumpkins the size of tractor tires! I LOVE caramel apples. They remind me of my childhood, too. And candied applies are yummy also. So are homemade popcorn balls. I agree that apple cider with cinnamon sticks is scrumptious! 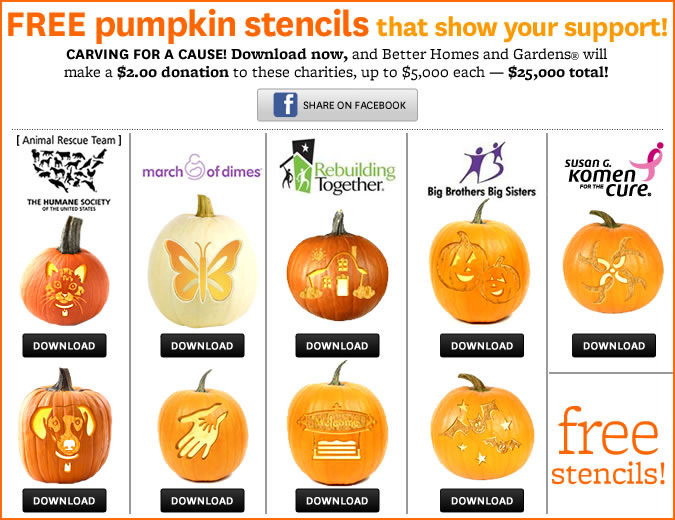 Those are neat stencils offered by BH&G. And that Zombie app coming out, how funny! I have a simple cell phone, no internet, but I can see how an app like that would be popular. What a fun post. Thanks! I love popcorn balls, too–and homemade caramel corn. Glad you liked the post! I don’t have a smart phone yet, but I would like to buy one in the next few months, so hopefully I can try out the app. Hey there, this was a fun post. It triggered a gentle stroll down memory lane. (Complete with multi colored leaves blowing across the well worn path.) I will add apple pie, especially the scent of it freshly baked,to the list of Autumn delights. Btw I really like the photo across the top of your blog–eye catching and professional looking!! Zombies rock! Well, at least in fiction. Too bad about the homemade goodies. At least people are starting to become more aware of health concerns. I haven’t been trick-or-treating in a long time, but I hope there are more all-natural (or at least trans-fat or high-fructose corn syrup free) goodies out there nowadays. Thanks! Graphic designer Robin Ludwig put it together for me. If you ever need a custom header or anything else designed, I highly recommend her. She’s amazing to work with.